Within easy traveling distance of Bangkok, Hua Hin is a tranquil beach resort that has long had aristocratic associations, and today’s visitors can stay in the same style by checking into Centara Grand Beach Resort & Villas Hua Hin, one of Asia’s classic grand hotels. For any booking made before 31 October for a stay any time between now and 30 April 2015, the hotel is offering a further 10 percent discount on the rates that are already published on its website under the Best Price Guarantee scheme. 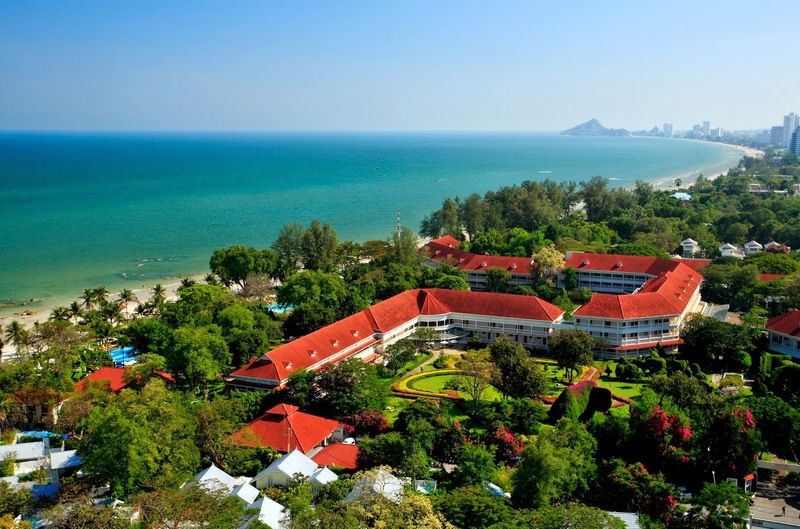 Set directly on the sands of Hua Hin Beach, within 16 hectares of manicured gardens and within easy walking distance of the shops and other attractions of the town centre, Centara Grand Beach Resort & Villas Hua Hin has been awarded the TripAdvisor Certificate of Excellence for 2014 and is nominated for Asia’s Tope 5 Heritage Hotels award. Centara Hotels & Resorts is Thailand’s leading operator of hotels, with 47 deluxe and first-class properties covering all the major tourist destinations in the Kingdom. A further 21 resorts in Maldives, Vietnam, Bali, Sri Lanka, Mauritius, Ethiopia, Qatar, Laos and Oman brings the present total to 68 properties. Brands and properties within Centara ensure that specific categories such as couples, families, individuals, and meetings and incentives groups will all find a hotel or resort that is appropriate to their needs. Centara operates 30 branches of Spa Cenvaree, one of Thailand’s most luxurious and innovative spa brands, together with 7 branches of the value brand Cense by Spa Cenvaree, which provides core spa services for busy travellers. The company’s Kids’ Club is available at all the family-friendly resorts to ensure that the youngsters and teens have their own leisure zone. Centara also operates three state-of-the-art convention centres in Bangkok, and two in northeastern Thailand, one being located in Udon Thani and the other in Khon Kaen. The latest Centara brand is named COSI Hotels, an affordable lifestyle brand designed for travellers who predominantly make their bookings via the internet and who want comfort and convenience at affordable prices; the brand is under development with the first property due to open in 2016.